Here is a list of the 10 most popular opera composers by performance numbers. The data used to compile this list is from Operabase, perhaps the world’s greatest source of opera data. All data is for the most recently completed full season – the 2017/2018 season. In the top 10 are four Italians, two Austrians, one Frenchman, one German, one Russian, and one German-Frenchman. For a list of the most performed operas worldwide, check out this article. 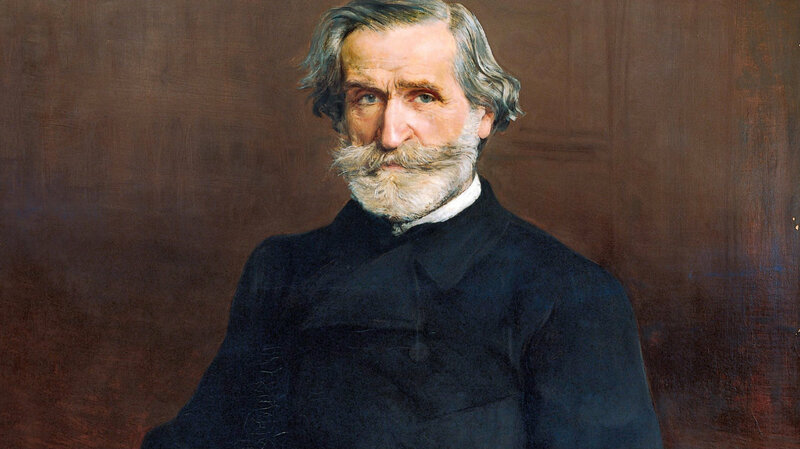 Giuseppe Verdi (1813 – 1901). It should be no surprise that this Italian tops the chart of most popular opera composers. There were 3481 performances of Verdi’s operas in the 2017/2018 season. Wolfgang Amadeus Mozart (1756 – 1791). Only a handful of this Austrian genius’s works are regularly performed today, but they are some of the most popular works in the entire operatic canon. There were 2320 performances of Mozart’s operas in the 2017/2018 season. Giacomo Puccini (1858 – 1924). The second Italian on the list of the most popular opera composers was performed 2299 times in 2017/2018, just barely behind the master Mozart. Gioachino Rossini (1792 – 1868). The third most performed Italian opera composer and the fourth overall, Rossini was one of those rare composers who was as popular in life as he has been in death. There were 1244 performances of his operas worldwide in the 2017/2018 season. Gaetano Donizetti (1797 – 1848). The fourth and final Italian on the list, Donizetti was performed 964 times in the 2017/2018 season. This prolific composer, along with Rossini and Bellini, was a bel canto master. Georges Bizet (1838 – 1875). The first Frenchman on the list, Bizet is best known for his opera Carmen. Of the 809 performances of Bizet’s operas in the 2017/2018 season, 698 of them were of Carmen. That’s about 86% of all Bizet performances. Richard Wagner (1813 – 1883). No list of anything related to opera would be complete without mentioning Wagner. Surprisingly, however, none of Wagner’s operas fall into the list of the top 20 most performed operas worldwide. Nonetheless, Wagner’s operas saw 803 performances in the 2017/2018 season. Johann Strauss II (1825 – 1899). The second Austrian to appear on the list, Strauss was performed 546 times in the 2017/2018 season. His most famous opera (really an operetta), is Die Fledermaus, accounting for 362 of those 546 performances. Pyotr Ilyich Tchaikovsky (1840 – 1893). Although best known for his Eugene Onegin, Tchaikovsky composed a number of famous operas in his life, including Iolanta, The Queen of Spades, and The Enchantress. This Russian’s operas were performed 503 times in the 2017/2018 season. Jacques Offenbach (1819 – 1880). Offenbach is undoubtedly most known for his opera The Tales of Hoffman. This French-German composer’s operas were performed 439 times in the 2017/2018 season.